I made some fluffy white buns this weekend. Aside from rising time, I'm always surprised how quick this recipe is. 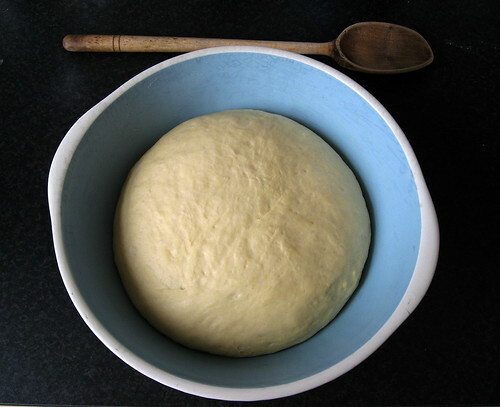 I think it's partly that it's a relatively small amount of dough to work with -- just enough for one tray of buns. 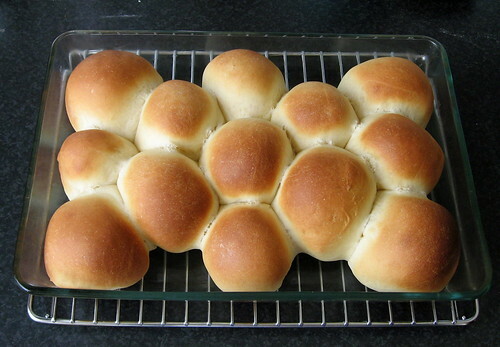 I use the "Milk Bread" recipe from the Joy of Cooking. 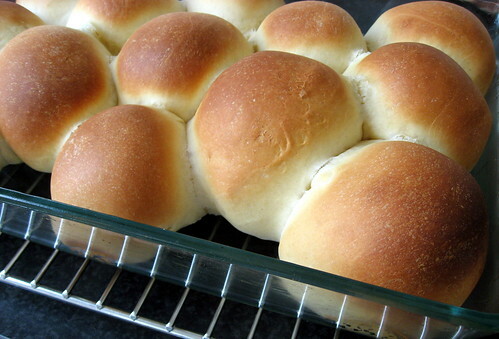 It's quite rich with butter and egg and milk, but these buns are so completely worth it!